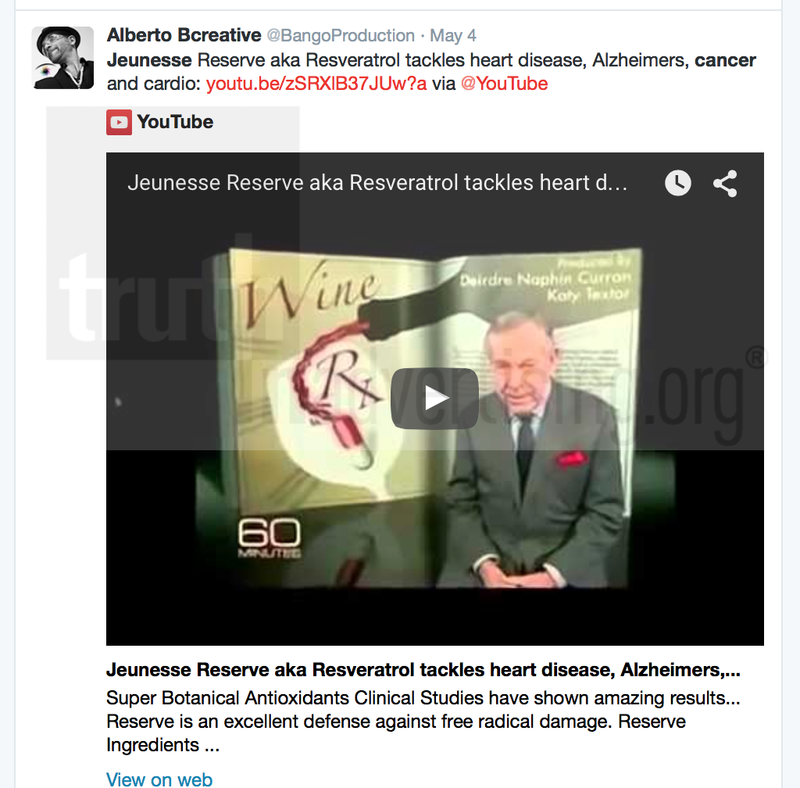 A TINA.org investigation has cataloged over 100 instances in which Jeunesse distributors have either made or referenced claims that the Jeunesse product lines can treat, cure, alleviate the symptoms of, prevent, or reduce the risk of developing diseases and disorders. Note: TINA.org has shortened the length of some videos in the database and has added highlighting to some images in order to pinpoint the health claim(s). UPDATE 6/6/16: A December 2015 audit revealed that many health claims in the database below have been removed. However, over 70 new examples of inappropriate health claims were found since the original publication of this database. New health claims are marked with an asterisk.